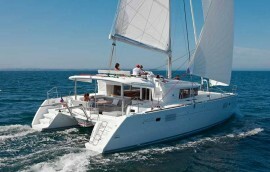 The sailing catamaran Lagoon 450 is the most wanted and most popular catamaran available for charter in Croatia. It can be chartered bareboat but under the condition that one has all the necessary qualifications requested including valid nautical license and a VHF certificate. 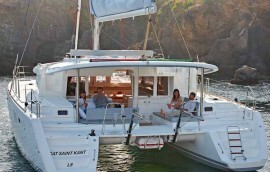 If one does not posses all the necessary qualifications the catamaran can always be chartered with a skipper. 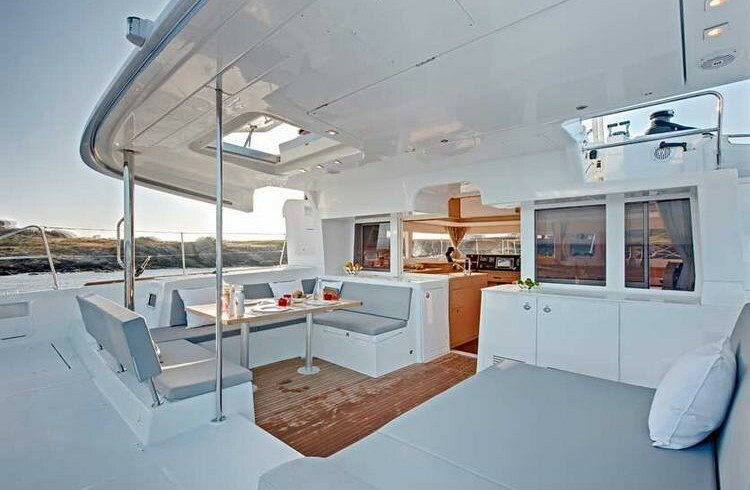 Either You wish entertain your family and friends, liveaboard, or cruise around beutiful Croatian islands this catamaran is a right choice for You. In Croatian charter market this sailing catamaran comes in version with 4 double guest cabins and 2 separated single skipper cabin so guests can have their privacy on board. 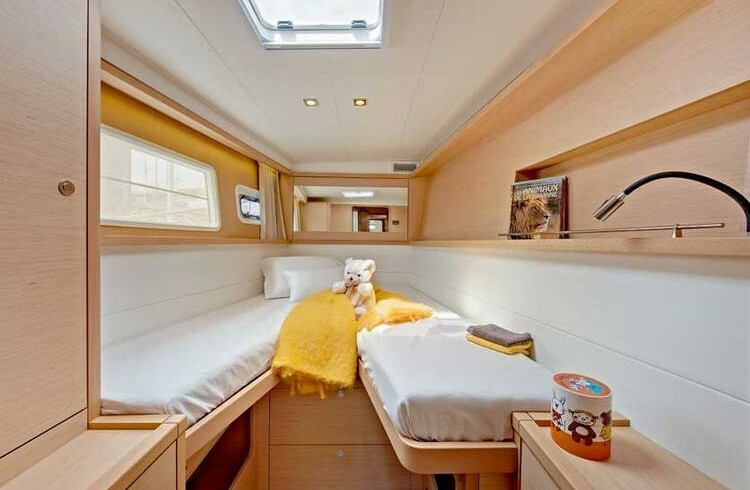 It can comfortably accomodate up to 12 persons. 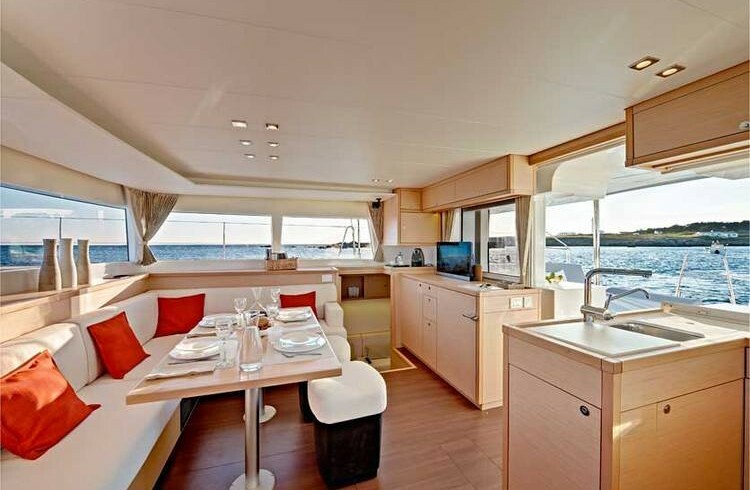 This catamaran offers You the possibility to enjoy features such as the steering station on the fly bridge providing perfect visibility and direct access from both sides of the cockpit ensures Your safety and to enjoy a large sunbathing area directly forward of the fly bridge – a perfect place to soak up the rays. The cockpit as well as forward area with the trampolines are spacious and are ideal for sunbathing during Your sailing holidays. This catamaran is equipped to the highest standards and will definitely please all your needs and wishes. The catamaran is air-conditioned, luxuriously furnished with four double spacious cabins with queen size guests berths , full navigational and safety equipment. 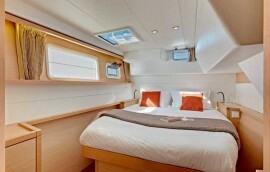 This catamaran offers elegance and superior functionality. 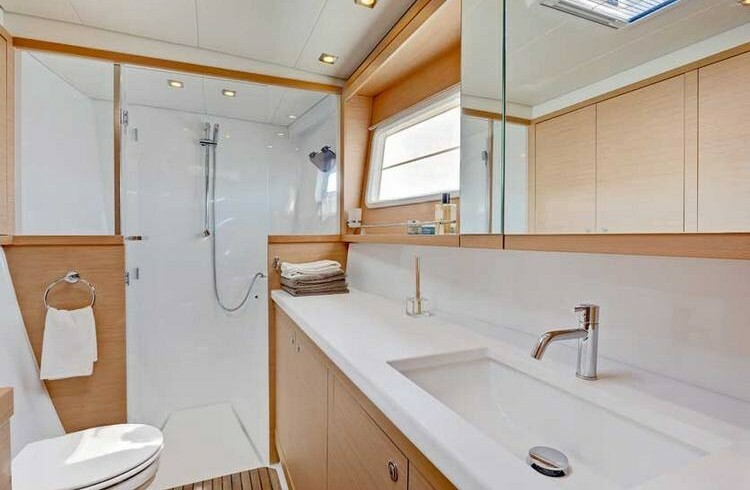 Saloon and cabins are exceptionally well lit and there is a natural light in cabins thanks to large glazed panels on hulls. 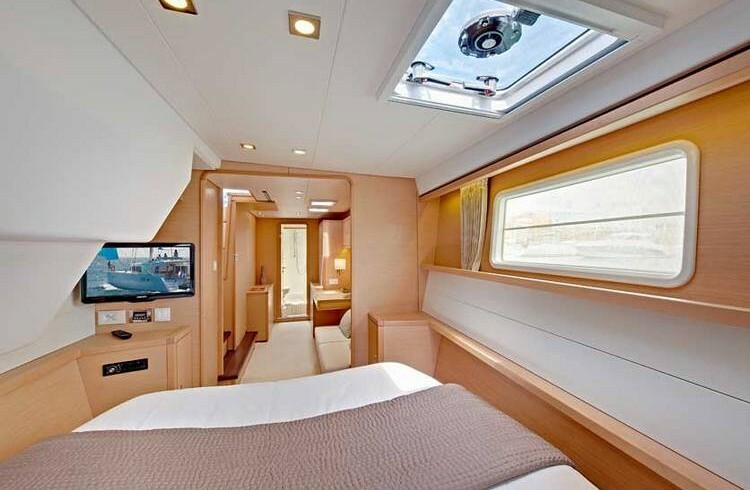 The galley is “U”-shaped for greater comfort when sailing and is located between the cockpit and salon at the same level. The catamaran is quieter with the engine compartments remote from the living areas and perfectly insulated. 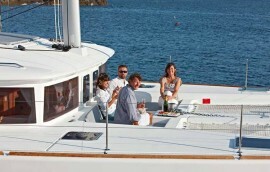 Here you can find basic information about Lagoon 450. 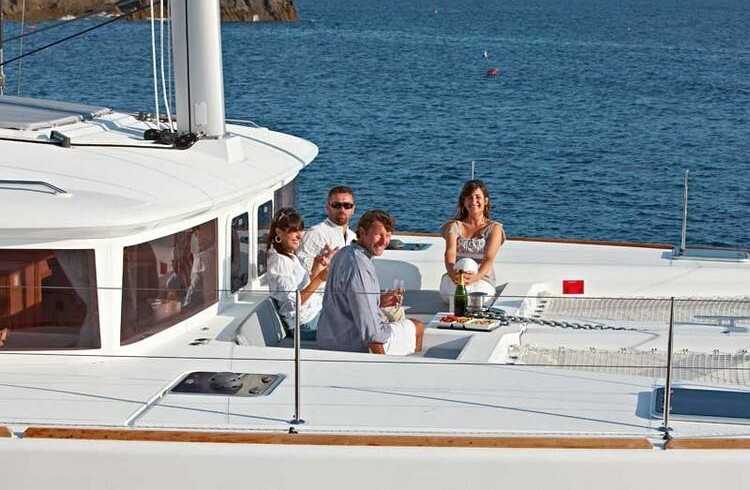 Other specifications, can vary from boat to boat, therefore we recommend to send us inquiry.